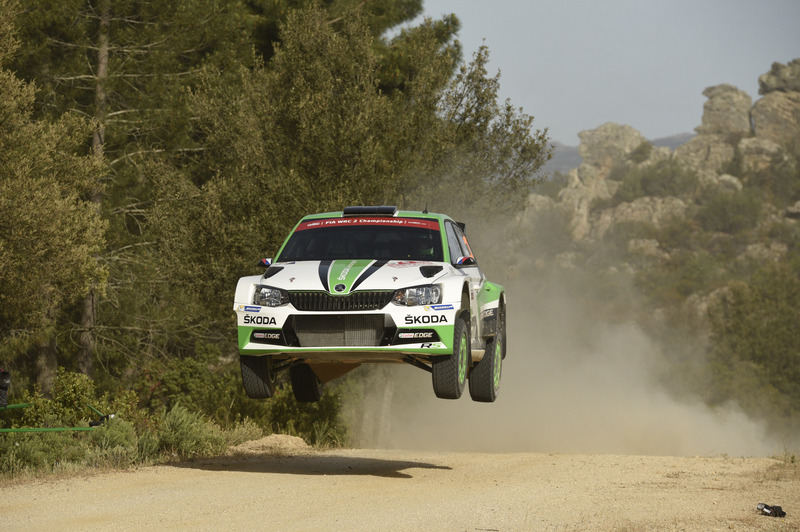 Alghero/Italy, 10 June 2017 – Jan Kopecký and co-driver Pavel Dresler (ŠKODA FABIA R5) continued to control the competition in the WRC 2 category at the world championship Rally Italia Sardegna. Since they moved in front after the second stage, they were never in danger to lose the lead in WRC 2. After the last stage of the day, Kopecký even took ninth position overall by a margin of 0.9 seconds. Meanwhile their young stablemates Ole Christian Veiby/Stig Rune Skjaermœn, driving a ŠKODA FABIA R5 from private Printsport Team, scored their third WRC 2 stage win of the rally. It was an early wake up call for the teams who are competing in the seventh round of the World Rally Championship (WRC). At five o’clock in the morning, even before sunrise, the first car left the beautiful village of Alghero, situated on the northwest coast of the island of Sardinia. The first stage in the north was a tough 15 kilometres warm up for the teams. Jan Kopecký and Pavel Dresler (ŠKODA FABIA R5) were fully awake and scored the first fastest time of the day, followed by Ole Christian Veiby/Stig Rune Skjaermœn. On the next test, the 28 kilometres of Monti di Ala, Norwegian youngster Veiby achieved his third best time of the event. The famous Monte Lerno stage and its 28 kilometres of rock-strewn gravel saw a lot of teams in trouble. “Twelve kilometres from the finish, I thought I had a puncture and slowed down for a moment. But then I realised that everything was okay”, commented Jan Kopecký shaking his head. He was nevertheless fastest in WRC 2 category. His young stablemate O.C. Veiby got caught in some dust. “A car in front of me got a puncture. I caught him, drove in his dust to the end of the stage and lost some time. Apart of that, it’s been a good day so far, I am improving a lot”, said Veiby at the midday rest halt in Alghero. 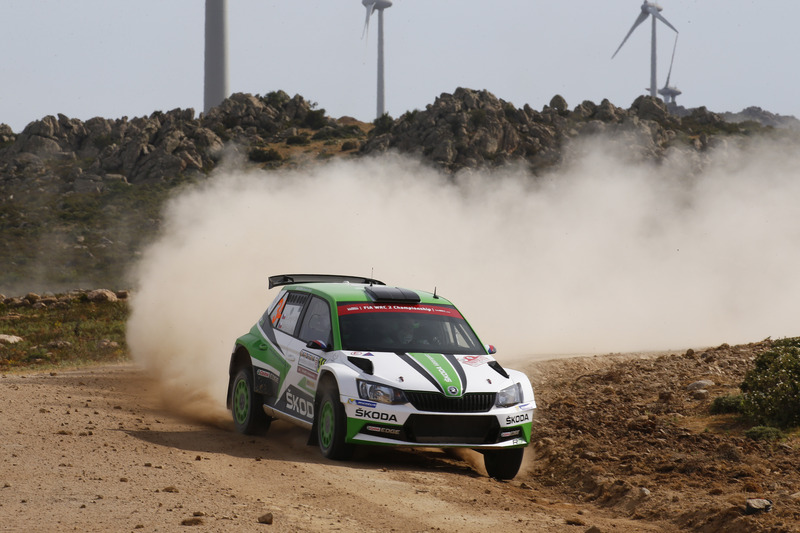 In the WRC 2 category, only the two ŠKODA Teams at the top of WRC 2 had a trouble free run, while their competitors from other brands had to pay tribute to the tough gravel roads on the Mediterranean island. The afternoon saw the repetition of the three stages of the morning, the gravel roads promising to be even more rutted for the second passage. Jan Kopecký and Pavel Dresler (ŠKODA FABIA R5) went out from the service park in Alghero in an attacking mood to catch RC2 class leader Eric Camilli (Ford Fiesta R5). With three fastest times in a row, Kopecký did not only increase his lead in the WRC 2 category to more than one and a half minutes. He also moved into the lead of RC2 class and into ninth position overall only 0.9 seconds ahead of Camilli. The final decision of the rally will come on Sunday close to the coast north of the host town of Alghero. Four more stages covering about 42 kilometres are on the itinerary. 2. 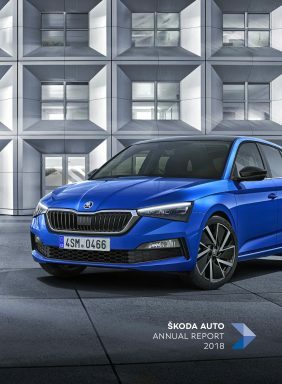 Veiby/Skjaermœn (NOR/NOR), ŠKODA FABIA R5, +1.31.3 min. 3. Katsuta/Salminen (JPN/FIN), Ford Fiesta R5, +5.58.3 min. 4. Rossel/Fulcrand (FRA/FRA), Citroën DS3 R5, +8.52.2 min. 5. Loubet/Landais (FRA/FRA), Ford Fiesta R5, +23.23.2 min. On the last stage of the day, Jan Kopecký conquered ninth place overall with a margin of 0.9 seconds.